Mt. Woodside B.C. Paragliding from Gerry LaMarsh on Vimeo. See a flight from Mt. Woodside ending in a perfect landing at Eagle Ranch by a FlyBC Client. Eagle Ranch - 25 acres of flight park for Paragliders and Hanggliders alike. Q: What is all the buzz about this new Eagle Ranch? 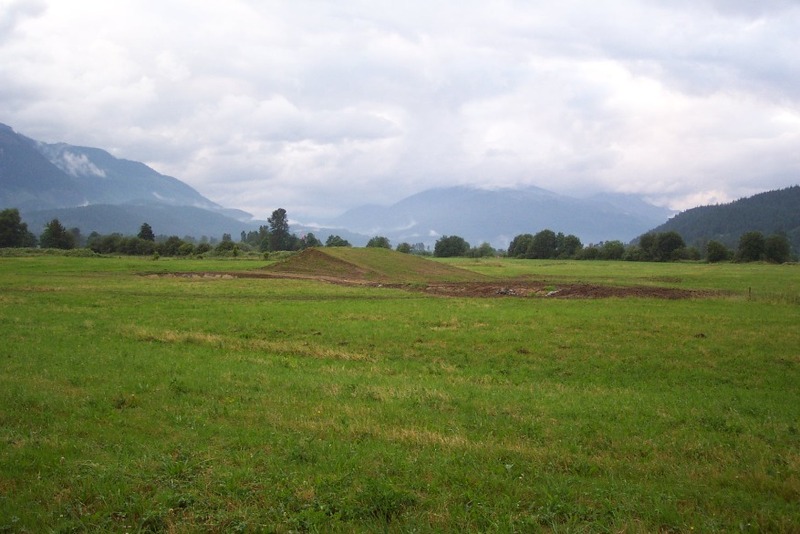 A: Eagle Ranch is the first Paragliding School owned training facility and flightpark in BC. Eagle Ranch is owned by FlyBC Paragliding, the largest paragliding school in BC operating since 1996. Q: Why is this important to me when I am looking for a Paragliding School? hoping to get a student a few flights weather permitting. This ultimately led to dissatisfaction and high dropout rates because it took so long to get certified. Q: Okay, but what about me? How can this Eagle Ranch Air Park help me get certified sooner? A: Eagle Ranch is a complete training facility using a training hill on-site to get students in the air sooner and safer. From the first day, a new student will be flying down the training hill getting prepared for their first HIGH FLIGHT! This means the new paragliding student pilot is more familiar with the paraglider and launching and landing before they ever see a mountain launch. This also translates to accelerated training! FlyBC will only signoff a new pilot after they have flown at 5 or more of our local sites, not all flying is accomplished at Mount Woodside. As students progress, we take them to more difficult sites to orient them to these sites and potential problems. And . . . Eagle Ranch is restricted to 5 students per day, which means more one-on-one instruction and more flying. which means less crowding in the landing approach and easier access to the mountain (no hiking). Q: Okay! Where is Eagle Ranch located? A: Look at the map below, but we are just south of Highway 7 (Lougheed Hwy) near the Hemlock Ski Resort Turnoff. Take Hwy #1 to Abbotsford, and take the Sumas exit to Hwy 11 North to Mission. Take Highway 7 East of Mission, keep heading east through the towns of Dewdney and De Roche. Approximately 12 km east of De Roche, watch for the Hemlock Ski Resort turnoff on the left (at the Sasquatch Inn). Stay on Highway 7 and you will cross a bridge over Harrison River. Watch for the third right turn at Mill Road and turn right. Watch your speed on Mill Road, the speed limit is 30 km/hr and there are children in the vicinity. Head south on Mill Road and make the first left turn onto Kilby Road at the T intersection. Eagle Ranch is the third farm on the left, turn to the parking area in front of the red barn. 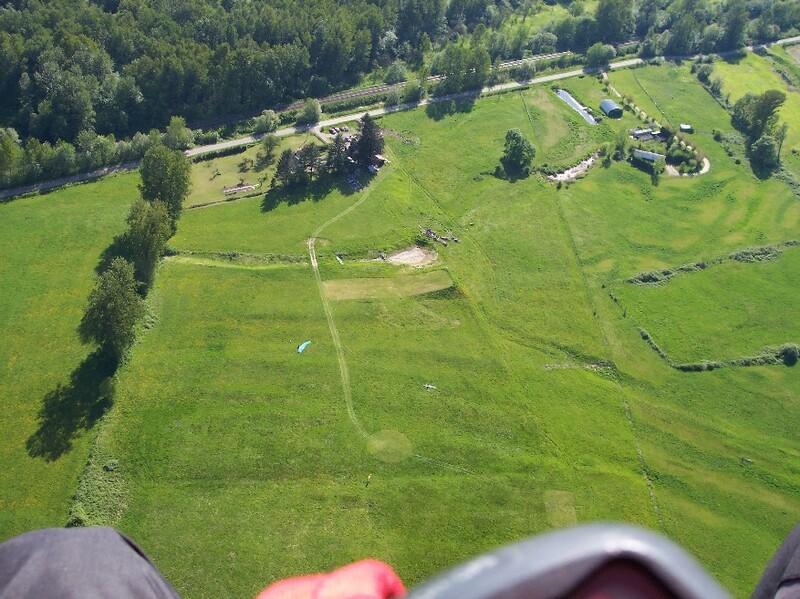 This is where you will learn everything about Paragliding!